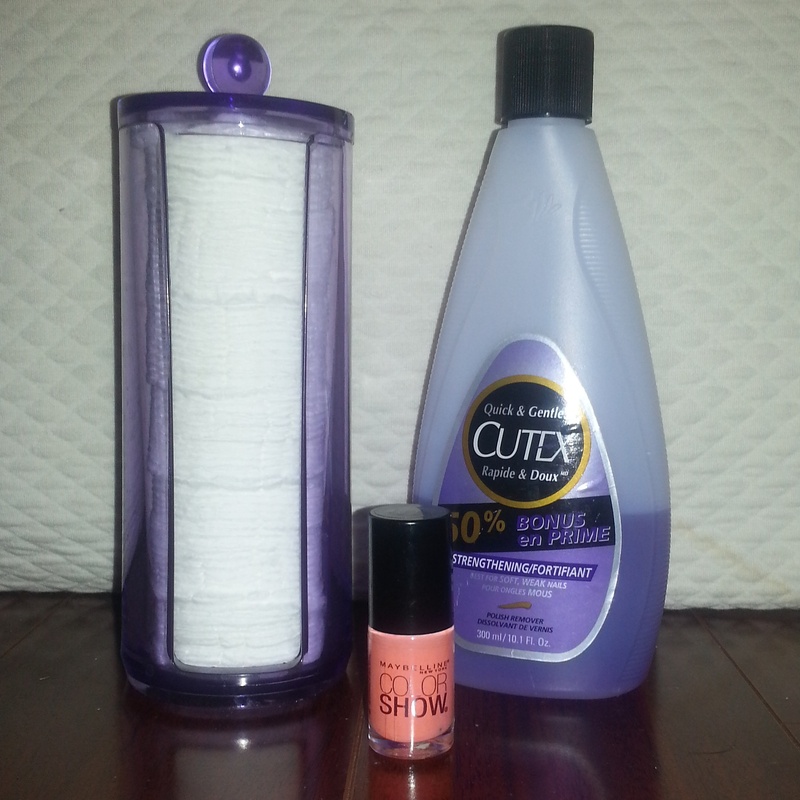 I bought this purple cotton pad holder from Winners last weekend so this made my mini manicure set up even more enjoyable. 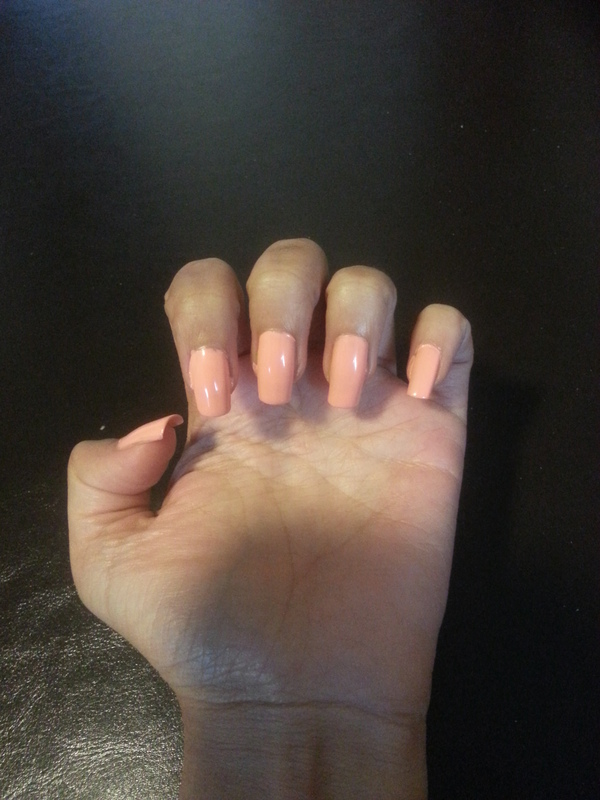 So since there is still a good two weeks left of summer I wanted to do my nails a pretty peachy end of summer/beginning of Fall colour. 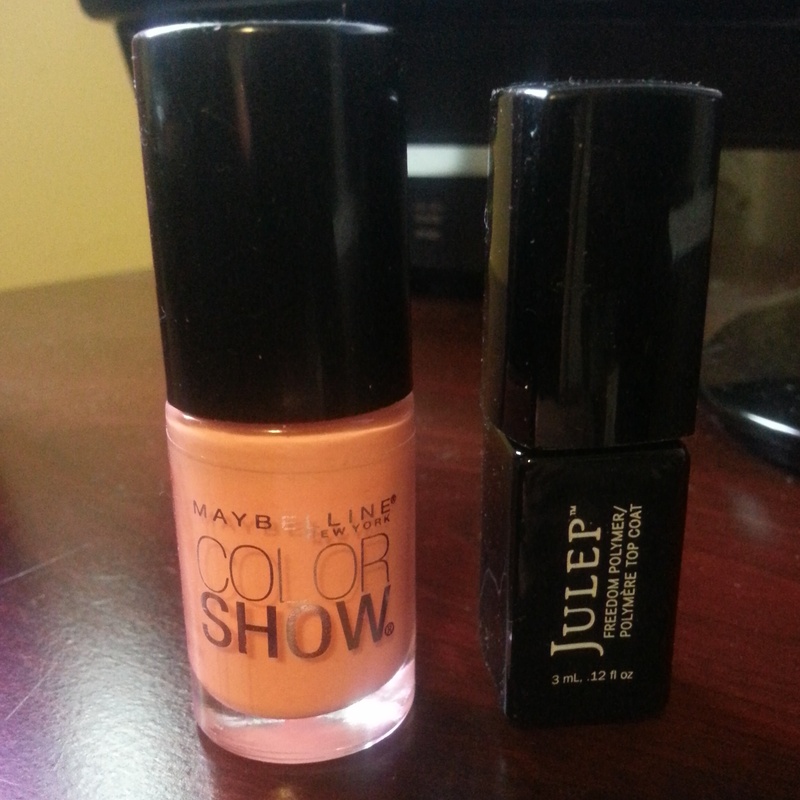 I got this Maybelline Color Show nail polish last season at the World MasterCard Fashion Week in Toronto. I have never tried the Maybelline polishes before so I am glad I got a few colours to try out. 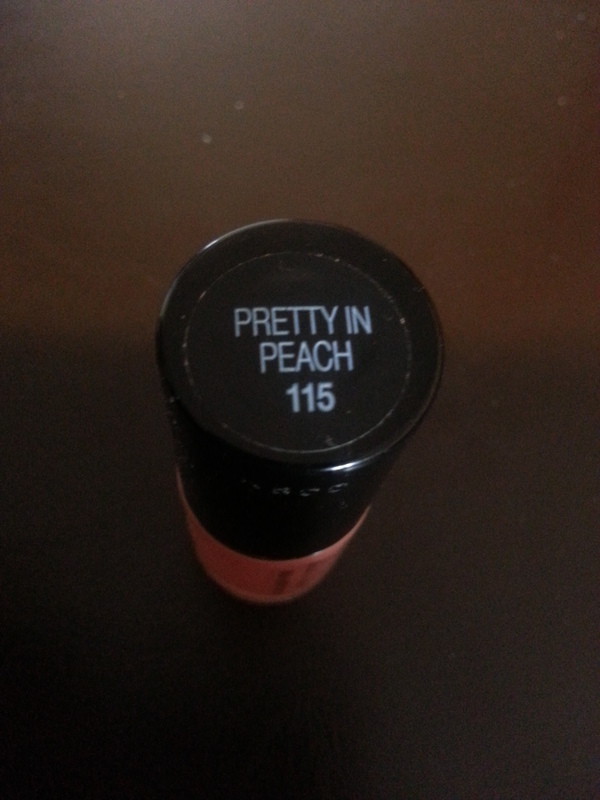 The colour I used today is Pretty in Peach 115. 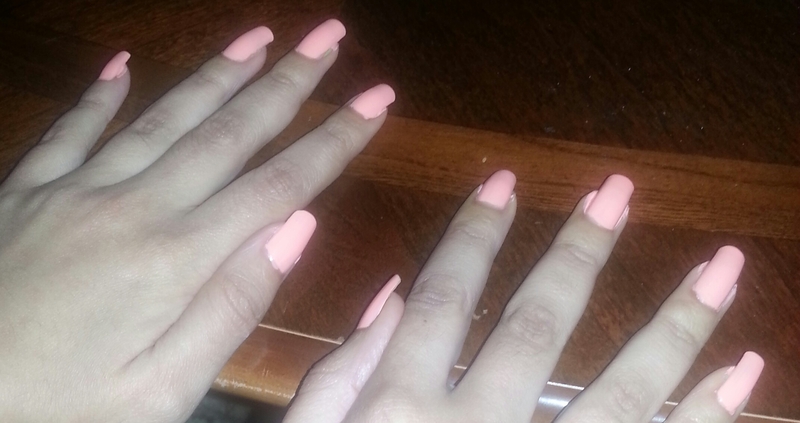 It is a subtle pink/peach tone that I think will suit all skin tones. 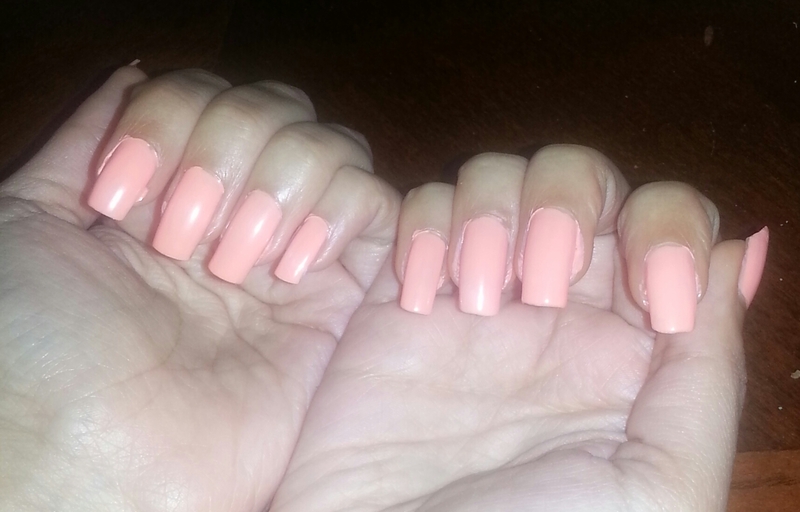 I really love the colour, consistency and longevity I get from this polish. I used two coats for full coverage and a Julep topcoat (from my Sephora points) to help maintain the colour and avoid any chips. Do you like this colour for this time of year? What colour are on your nails today? !